Since I’ve recently bought a new notebook, which I want to use while I’m away from home, to work, I’ve looked a bit into what one should know when buying something like that, and the things that matter. I’ve bought my new notebook from Everbuying PC (I’ll take the opportunity to recommend these guys if you want to buy a new gadget for yourself). If you browse around their store you will notice that they have a wide selection of products, but we’ll focus on the notebooks today, since that’s the topic for this article. 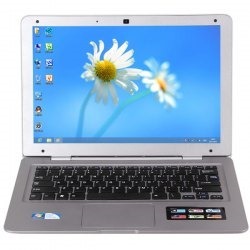 Buying a Notebook PC is not a difficult job, but there are a couple of things you should know before you start the search, things that will make your job considerably easier, since it will eliminate certain models from the get go. Your Budget – the budget is a huge part of the search, since you can eliminate many models based on what you’re willing to spend. Generally, the higher the price, the better the product, but there are cases when you will get a lot of quality for the money you pay. With some companies (like Apple), you pay for the packaging as well, not just for the specs. It’s up to you whether you opt for something that costs extra because of the design quality. Mobility Requirements – there is also the question of just how mobile you need to be with your new Notebook PC. There are two things that matter here. The first one is the size of the screen. A 10 inch notebook gives you plenty of mobility, but there is a bit of productivity lost because of the screen size. The second thing is the battery, which is very important as well if you want a lot of mobility. Netbooks might give you up to 8-10 hours of battery life, while a notebook with a big screen might only give you an hour or two. Processing Power – the amount of CPU speed you get for your notebook will influence the amount of power used. A powerful CPU tends to take out a lot from your battery. These three things are the biggest things you should consider when buying a new laptop for yourself. There are other things of course, like the size of the hard drive, the quality of the webcam or the sound system.